Melissa Hartwig is a Certified Sports Nutritionist who specializes in helping people change their relationship with food and create life-long, healthy habits. She is the co-creator of the Whole30 program, the New York Times bestselling co-author of The Whole30 and It Starts With Food, and the author of Food Freeedom Forever and The Whole30 Cookbook. Melissa has been featured by Dr. Oz, The Today Show, the New York Times, the Wall Street Journal, Details, Shape, Outside, and SELF. 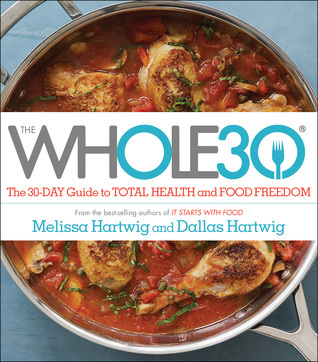 Melissa has presented more than 150 health and nutrition seminars worldwide and provides support to more than 2 million people a month through the Whole30 (whole30.com) website. She lives in Salt Lake City, UT.